On October 6, Mercy Housing California and the Sacramento Housing and Redevelopment Agency (SHRA) celebrated the grand re-opening of the Boulevard Court Apartments in Sacramento. 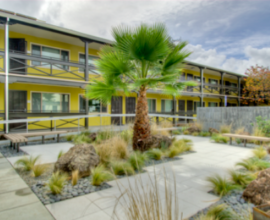 This partnership succeeded in transforming a once blighted motel into 75 units of permanently affordable housing for formerly homeless individuals with disabilities. In August 2007, Little Tokyo Service Center (LTSC) partnered with the Korean Youth and Community Center (KYCC) to acquire the Professional Housing and Development (PHD) apartments in Los Angeles and preserve the affordability of the property.